Having a home is great, especially if it’s your first ever home. But the stress of the Burke, VA home buying process can lead you to think that maybe it’s best to stick to apartments. But now, you don’t have to worry anymore! 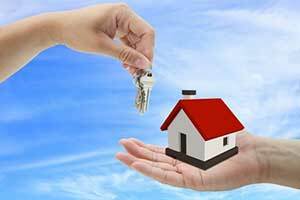 Fairfax Mortgage Investments is there to help. We have helped Burke, VA first time home buyers like you through the process of finding a home since over 30 years ago. With so many programs, grants, and incentives to choose from, we are there to help you pick out the right ones for you. Contact us when you’re in need of help! When you contact Fairfax Mortgage Investments, you can be sure that we will be there to help you every step of the way. FHA loans are insured by the Federal Housing Administration, which offer lenders some protection in case they face a net loss. They have lower down payments and closing costs, as well as competitive interest rates for Burke, VA first time home buyers. This is a popular choice when it comes to getting a loan to buy your first house. USDA loans give the option of buying a home in a rural area at a low and fixed rate interest. They also offer no down payment, allowing you to buy the Burke, VA house. This is for qualified candidates, as said by the US Department of Agriculture. VA home loans give soldiers, veterans, and their widows a chance to buy the home of their dreams, guaranteed by the US Department of Veterans Affairs. They have no down payment, no requirement for mortgage insurance, and low interest rates. They also allow them to get larger loan amounts than regular loans. FHA Section 203(k) gives Burke, VA first time home buyers the option to buy a house in need of repairs in a single mortgage. It allows those of low income to not pay extra when they want to fix up a house. With this loan, it is a guarantee of making your dreams come true just by fixing up a house. There are so many programs and grants to choose from and such a long time for the whole thing to be processed. Even so, Fairfax Mortgage Investments is there to help. We will help you with buying your first home in Burke, VA any way we can, from credit rescoring to program applications. Consider the following, a house costs a lot, along with closing costs and housing costs like taxes and home insurance in general. So you need to develop a budget that would fit with the home you want to buy. Find a realtor in the area that will help you decide your first home and prepare the proper documentation, like pay stubs, bank accounts statements, W-2s, tax returns for the last two years, statements from current loans and credit lines, and the names and addresses of landlords for the past two years. Once that’s done, you can sit back and relax as Fairfax Mortgage Investments does the rest!